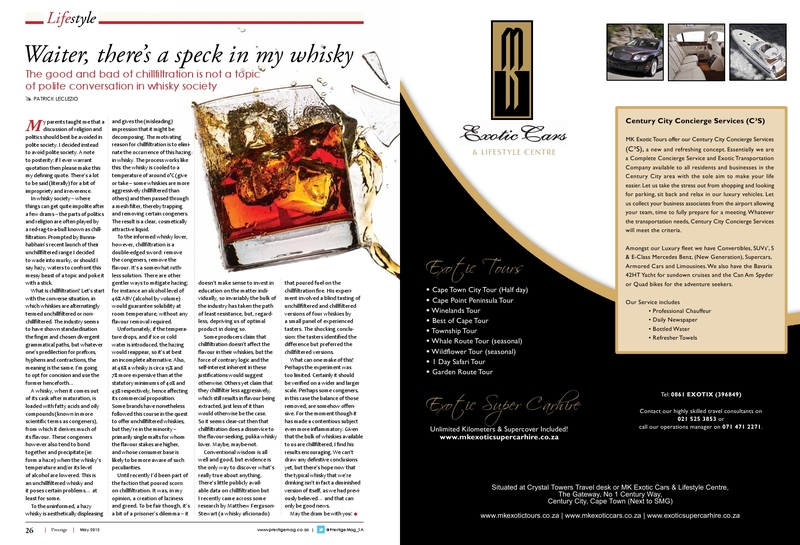 This entry was posted in Whisky column and tagged Bunnahabhain, chillfiltration, Prestige Magazine, Whiskey, Whisky. Bookmark the permalink. Thanks Grant. Glad you liked it. Thanks for reading my article, I enjoyed yours above as well. Important to note that although our little group generally like the chill-filtered versions better, it’s worth noting that we did not conclude that chill-filtered is better. Four people with four different whiskies is the biggest experiment of this kind that I know of, but in scientific terms it is tiny. For me, the research was more exploratory than exhaustive. I’m looking forward to someone doing a bigger and better experiment! Thanks for the comment Matt. I take your point entirely – we’re always under word count pressure in these printed articles so I may not have been explicit enough about it in the piece. I recently had an interesting chat with Ian MacMillan from Burn Stewart. He suggested that chill filtration can sometimes correct flaws in distillation. I can’t remember the whiskies which you used for the experiment and it’s not my intention to cast aspersions on these products, but this could be a potential explanation for the results. Keep me posted about version two – I’d love to hear all about it.